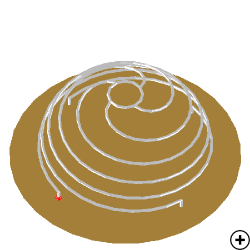 Image of the Folded Spherical Helix Monopole. 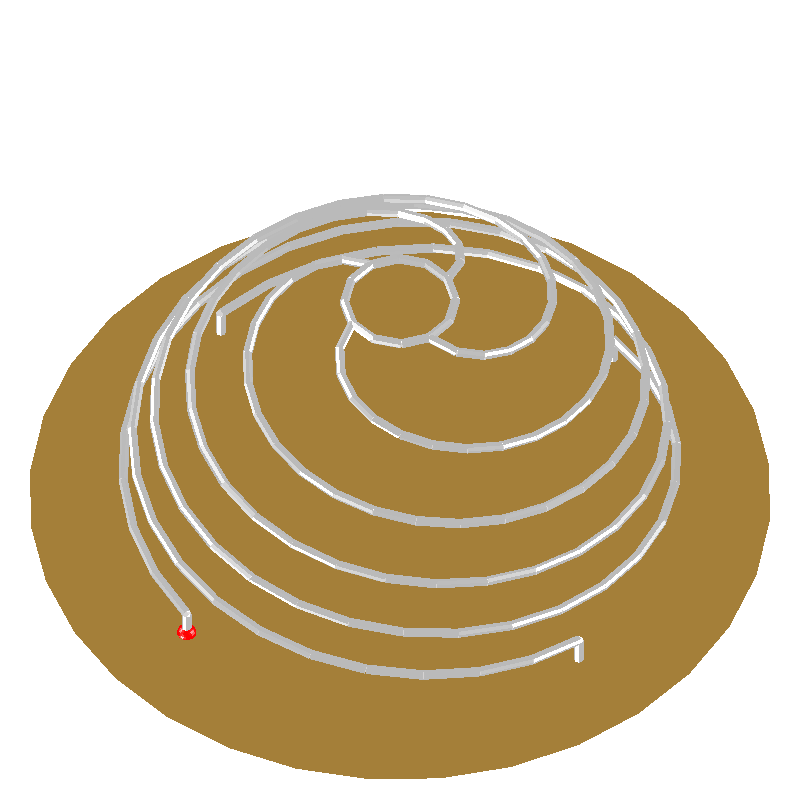 The Folded Spherical Helix Monopole (FSHM) is an electrically small self-resonant antenna, which exhibits a good impedance match with a low Q at a value ka ~ 0.38, where k = 2*(pi/wavelength) and 'a' is the radius of a sphere that can completely encapsulate the antenna. An antenna is considered electrically small if ka < 0.5. For antennas on large ground planes the ground plane is excluded when determining 'a'. For a 4-arm FSHD the input impedance is typically ~ 50 Ohm, but this can be adjusted by varying the number of helical arms and the number of turns. Furthermore the FSHM can be configured to either have linear or elliptical polarisation by changing the size of the ground plane. 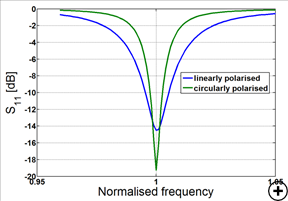 With a small ground plane elliptical polarisation is achieved and the rotational direction of the helical arms determine the handedness of the polarisation. 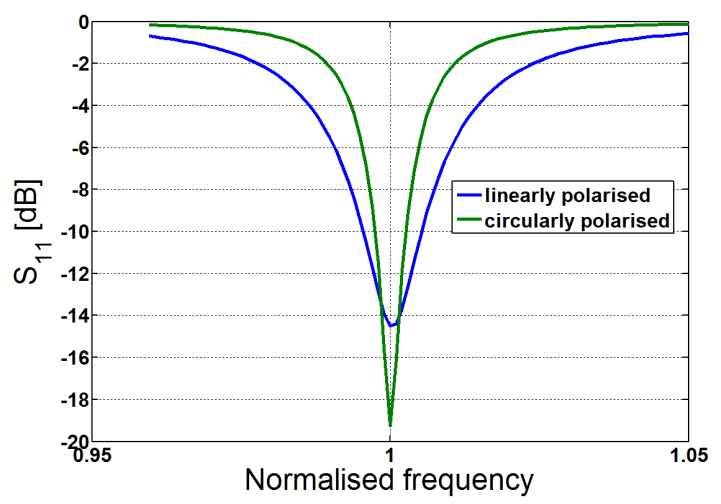 Typical reflection coefficient versus frequency of a 4-arm FSHM for a linearly and elliptically polarised design.